Rheological Aspects of Peripheral Gangrene. Mayo Clinic, Rochester, Minnesota, 1977: Fibrous Capsule Formation After Silicone Implantation in Rabbits - Effect of Implant Massage. Visiting Plastic Surgeon, Dharan, Nepal; British Gurka Medical Corp; November of 1984. Visiting Plastic Surgeon, L.N.J.P.N. Public Hospital, New Delhi, India, November of 1986. "Operation Kids", Guatemala, 1989, sponsored by Christian Children's Fund. Filipino Doctors of America Cleft Surgery Mission, Negros, The Philippines, November of 1990. "Operation Restore Hope" Surgical Mission to Paranaque, Metro-Manila, The Philippines, 2001, 2002, 2003. Hodgkinson, D.J. and Lord, R.S.L. : Haemorrheological Causes of Transient Ischaemic Attacks, (Abstr), A.N.Z. Journal Surg., No.1, February 1975. Hodgkinson, D.J. and Woods, T.J.: Endometrial Carcinoma in Immuno-suppressed Patient, J. of Gynaecologic Oncology, 5: 308 - 132, 1977. Mendelson, B.C., Hodgkinson, D.J. and Woods, J.E. : Carcinoma of Floor of the Mouth, Surg. Cl. of North Am., Vol. 157:585-596, 1977. Hodgkinson, D.J., ReMine, W.H., and Weiland, L.H. : Pancreatic Cystadenoma, A Clinicopathologic Study of 45 Cases. Ach. of Surg. 113:512-519, April 1978. Hodgkinson, D.J., Woods, J.E., Dahlin, D.C. and Tolman, D.E. : Keratocysts of the Jaw, Cancer, 41:803-813, 1978. Hodgkinson, D.J., Irons, G.B. and Williams, T.J.: Chemical Burns and Skin Preparation Solutions, Surg., Gyn., Obst., 147:534-536, 1978. Hodgkinson, D.J., ReMine, W.H. and Weiland, L.H. : Cystadenocarcinoma of the Pancreas, Annals of Surg., Vol. 188, No.5, p. 679, 1979. Grazer, F.M., Heinrichs, H. and Hodgkinson, D.J. : Aesthetic Aspects of Breast Reduction in Symposium, on Aesthetic Surg. of the Breast, ed. by J. Owsley, R. Peterson, Mosby Co. St Louis, 1978. Irons, G.B., Hodgkinson, D.J., Chong, G.C. and Woods, J.E. : Pentazocine Ulceration, Annals of Plastic Surg., Vol.2, No.4, April 1979. Hodgkinson, D.J., Soule, E.H. and Woods, J.E. : Cutaneous Angiosarcoma of the Head and Neck, Cancer 44: 1000-1113, 1979. Hodgkinson, D.J. : Anatomical Aspects of Body Sculpturing: Prevention of Deep Venous Thrombosis After Abdominoplasty, Chapters to be included in Body Image - A Surgical perspective by F.M; Grazer, J. Klingbeil, C.V. Mosby Co., St. Louis, December, 1979. Hodgkinson, D.J., Masson, J.K.: Rapid Mounting of Skin Grafts on Mechanical Skin Mesher, Annals of Plastic Surgery, 4: 381, 1980. Hodgkinson, D.J., Irons, G.B. : Newer Applications of the Cross-Leg Flap, Annals of Plastic Surgery, 4:381, 1980. Hodgkinson, D.J., Telander, R.L., Sheps, S.D. & Gilchrist, G.S. Extra-Adrenal Intrathoracic Functioning Paragangliomas in Childhood Mayo Clinic Proceedings, Vol. 55:271, 1980. Hodgkinson, D.J., Arnold, P.G. : External Oblique Chest Wall Reconstruction, Brit. Journal of Plastic Surgery, 33:216-220, 1980. Arnold, P.G., Hodgkinson, D.J. : The Extensor Digitorum Turn-Down Muscle Flap, Plastic and Reconstructive Surgery Vol 66, 1980. Hodgkinson, D.J., McIlrath, D.C.: Scrotal Reconstruction of Giant Inguinal Hernias, Mayo Clinic Proceedings, 57:383-386, 1982. Hodgkinson, D.J., Shepard, G.H. : Coverage of Exposed Gore-Tex Dialysis Graft with Local Sublimis Myocutaneous Flap, Plastic and Reconstructive Surgery, 69:1010, 1983. Hodgkinson, D.J. : The Pectoralis Major Myocutaneous Flap for Intraoral Reconstruction: A Word of Warning, British Journal of Plastic Surgery 35:80-81, 1982. Shepard, G.H., Hodgkinson, D.J. : Lateral V-Y Advancement Flaps for Reconstruction of Fingertip Deformities, Plastic Surgical Forum 5, p. 121-122, 1983. Hodgkinson, D.J. and Shepard, G.H. : Muscle, Myocutaneous and Fasciocutaneous Flaps in Forearm Reconstruction, Annals of Plastic Surgery, 10:400-407, 1983. Hodgkinson, D.J. : Doxorubicin Extravasation Injuries ( letter to the Editor), Journal of Hand Surgery, 8: 498, 1983. Shepard, G.H., Hodgkinson, D.J., Lake, J.L. and Gray, A.: New Vaccine at the Ready in Rabies Risk, Virginia Medical, 110:340-342, 1983. Hodgkinson, D.J. : Umbilicoplasty: Conversion of an "Outie" to an "Innie", Aesthetic Plastic Surgery, 7:221-222, 1983. Hodgkinson, D.J. and McIlrath, D.C.: Scrotal Reconstruction for Giant Inguinal Hernias, Surgical Clinics of North America, 64(2):307-313, 1984. Hodgkinson, D.J. and Hait, G.: Aesthetic Vaginal Labioplasty, Plastic and Reconstructive Surgery, 74(3):414-416, 1984. Hodgkinson, D.J. : Subungual Osteochondroma, Plastic and Reconstructive Surgery, 74(6): 833-834, 1984. Hodgkinson, D.J. : Chapters Management of Burns, Facial Trauma, Australian Handbook of Emergency Medicine, editor Dr. G. Guide, 1987. Hodgkinson, D.J. : Plastic Surgery in Nepal, A Different Kind of Diplomacy, 222-225, 1987. Hodgkinson, D.J. : Medial Thighplasty Prevention of Scar Contracture and Labial Flattening, Aesthetic Plastic Surgery, 13: 111-114, 1989. Hodgkinson, D.J. : Chest Wall Deformities and Their Correction in Bodybuilders, Annals of Plastic Surgery, Vol 25. p. 181-187, 1990. Hodgkinson, D.J. : The Olecranon Bone Graft for Nasal Augmentation Aesthetic Plastic Surgery, Vol. 16 p. 129, 1992. Hodgkinson, D.J. : The Place for Cosmetic Surgery, Part I, The Face Modern Medicine, Australia Vol 36 p. 32-42 1993. Hodgkinson, D. J.: The Place for Cosmetic Surgery, Part II, Body Contouring Modern Medicine, Australia Vol 36 p. 66-78 1993. Hodgkinson, D.J. 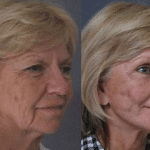 : Cosmetic Surgery - Aspects of facial reconstruction after the resection of skin malignancies. Modern Medicine, Australia Vol 39, Number 9, September 1996. Hodgkinson, D.J. : Suturing Techniques - Practical Guidelines for general practitioners - The Journal of Clinical Medicine - Modern Medicine Volume 40, Numbers 8-11 August to October 1997. Hodgkinson, D.J. : Body Implants - State of the Art - Chapter in European Text Book of Plastic Surgery - edited by Prof. Dr. med. G. Lemperle. Hodgkinson, D.J. : Buckled Upper Pole Breast Style 410 Implant presenting as a Manifestation of Capsular Contraction - Aesth. Plast. Surg. 23:279-281, 1999. Hodgkinson, D.J. : Imagined ugliness: a symptom which can become a disorder - Med J Aust 2001; 174: 3, 156. Hodgkinson, D.J. and Lam, Q: Personal Review Expansion techniques after Mohs' surgery on the face - Aust J of Dermatol (2001) 42, 9-14. Hodgkinson, D.J. : The Management of Anterior Chest Wall Deformity in patients presenting for Breast Augmentation. Plastic and Reconstructive Surgery, April 15, 2002 Vol 109 Number 5, 1714-1723..
Darryl J. Hodgkinson – “Smoking cessation and elective surgery: the cleanest cut” : Letter to Editor, The Medical Journal of Australia, Vol 181 No. 5, Sep 2004 page 283. Co-Author in "Autoderm: An Alternative Option for Immediate Primary Breast Reconstruction after Mastectomy—A Case Report." The American Journal of Cosmetic Surgery 32.2 (2015): 77-84. Hodgkinson, Darryl J. "Total Nasal Reconstruction for Extruded, Pending Extrusion and Severely Displaced Silicone Nasal Implants in Asian Patients." Aesthetic plastic surgery 41.2 (2017): 413-421. Foreword in "Female Cosmetic Genital Surgery: Concepts, classification and techniques", Hamori, Banwell, & Alinsod, Thieme, 2017. The "It Doesn't Bother Me Syndrome", California Society of Plastic Surgeons Annual Meeting, San Diego, California, April 1978. Photographs in Nepal, Williamsburg Regional Library, Williamsburg, Virginia, 1987. Photographic Exhibit of International Photographs, Thomas Nelson Community College, Newport News, Virginia, September 1989. Chest Wall Reconstruction in Body Builders, American Society of Aesthetic Surgery, April 1989. Haemorrheological Causes of Transient Ischaemic Attacks, Australian Surgical Research Society, Broken Hill, Australia, October 1974. Keratocysts of the Jaw, American Society of Head and Neck Surgeons, Hilton Head Island, South Carolina, May 1977. Cystadenoma of Pancreas, Western Surgical Society, Las Vegas, November 1977. Extra-adrenal Intrathoracic Functioning Paraganglioma in Childhood, Minnesota Surgical Society, Minneapolis, November 1977. Cutaneous Angiosarcoma of the Head and Neck, Midwestern Association of Plastic Surgeons, Chicago, Illinois, April 1979. The Extensor Digitorum Longus Turn-Down Muscle Flap for Problems in the Lower One- Third of the Leg, American Society of Plastic and Reconstructive Surgeons, Toronto, Canada, October 1979. Metacarpal Transposition in Congenital Hand Syndromes, American Society of Hand Surgery, Atlanta, Georgia, February 1980. Umbilicoplasty: Conversion of an "Outie" to an "Innie", Southeastern Society of Plastic Surgeons, Sea Island, Georgia, June 1981. Muscle, Myocutaneous and Fasciocutaneous Flaps for Forearm Reconstruction, Southeastern Society of Plastic Surgeons, Bermuda, May 1982. V-Y Flaps for Fingertip Injuries, American Society of Plastic and Reconstructive Surgeons, Hawaii, 1982 (Video Presentation). Fasciocutaneous and Myocutaneous Flaps for Forearm Reconstruction, Pan Pacific Surgical Association, Sydney, Australia, March 1984. Management of Difficult Upper Limb Wounds, presented at the 57th Annual McGuire Lecture Series in Richmond, Virginia, March 1985. Surgery in Nepal - 1984, At Making a Difference, second biennial conference, International Health Care Providers, San Diego, September of 1986. Inner Thighplasty, 20th Annual Meeting of the American Society of Aesthetic Plastic Surgeons, Los Angeles, California, March 1987. Medical Marketing, Annual Meeting Virginia Plastic Surgeons, September 1987. The Olecranon Bone Graft for Nasal Reconstruction, International Society of Plastic and Reconstructive Surgeons, Istanbul, Turkey, September 1989. Marketing Your Practice for the Consumer, 5th Annual Meeting of American Society of Healthcare and Marketing, Palm Springs, California, October 1989. Enhancing Your Image, American Cancer Society, Norfolk, Virginia, October 1989. Cosmetic Surgery - State of the Art, Australasian Dermatology Society, Sydney, Australia, May 1991. Facelifting Update, Australasian Dermatology Society, Perth, Australia, May 1992. Scalp and Forehead Reconstruction, Australasian Dermatology Society Perth, Australia, May 1992. Body Image - A Surgical Approach, International Society for the Study of Obesity, Sydney, June 1992. Olecranon Bone Graft for Saddle Nose, Specialised Implants for Body Builders, 6th R.A.P.S. Beverley Hills, California, July 1992. Aesthetic Aspects of Facial Reconstruction, Dermatologic Surgery Meeting - Maroochydore, September 1992. Rhinoplasty, International Society of Laser Cosmetic Surgeons, Melbourne, April 1993. Facial Mimetic Muscle Usage for Facial Reconstruction, Australasian Dermatology Meeting, Melbourne, April 1993. The Olecranon Bone Graft for Nasal Reconstruction in the Oriental, Society for Oriental Cosmetic Surgery, Kuala Lumpur, Malaysia, December 1994. Pectoral Implants for Chest Deformities, International Society of Plastic Surgeons, Tokyo, Japan, May 1994. Inner Thighplasty and Pectoral Implants, French Society of Plastic Surgeons, Paris, France, June 1994. Endoscopic Forehead Lifting - My first 20 cases - Rocky Mountains, Plastic Surgery Meeting, Lake Tahoe, Nevada, February 1995. Caucasian Rhinoplasty - Meeting, Quezon City, The Philippines February 1997. Breast Implant Controversy- Society of Cosmetic Surgery - Manila, The Philippines February 1997. General Practitioner Conference & Exhibition - SutureWorkshops - 14th - 16th March 1997, Darling Harbour, Sydney, Australia. Body Contour Implants - Course Director at the Annual Meeting of the American Society for Aesthetic Plastic Surgery May 2-7, 1997 New York, U.S.A.
Advanced Suture Techniques - Course Director, Rural Doctors' Association 10th Annual Meeting - Mudgee November 1997. The IXth Asean Congress of Plastic Surgery - 26th February - 1st March 1998, Penang, Malaysia - Panel Discussions on Facial Implants, Rhinoplasty - Complications in Augmentation. Two instructional courses on Liposuction. Body Contour Implants - Course Director at the Annual Meeting of the American Society for Aesthetic Plastic Surgery May 1-6, 1998 Los Angeles, U.S.A. Body Contour Implants - Course Director at the Annual Meeting of the American Society for Aesthetic Plastic Surgery May 15-19, 1999 Dallas, U.S.A. Male Body Contour Surgery - Presentation of a paper at the International Society of Aesthetic Plastic Surgeons, June-July 1999, Olecranon Bone Grafts - Poster for ISAPS, San Francisco, USA. Body Contour Implants - Guest Lecturer at the German Society of Plastic Surgeons Meeting, Kloster Seeon Chiemsee Germany, September 13-22, 1999, Munich, Germany. Correction of Chest Wall Deformity with Augmentation Mammaplasty and Body Contour Implantation - Faculty at the International Society of Aesthetic Plastic Surgeons, April 5-8, 2000, Tokyo, Japan. The Management of Anterior Chest Wall Deformity in Patients Presenting for Breast Augmentation - Faculty at the International Society of Aesthetic Plastic Surgeons, May 4, 2001 New York, U.S.A. Breast Lifting, reduction and reconstruction - indications for use of the peri-areolar incision Chest wall deformity and breast augmentation. 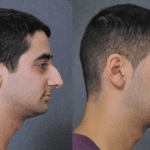 Nose re-shaping using the olecranon bone graft. International Society of Cosmetic Surgery - Vienna May 2002 Faculty Member. International Society of Aesthetic Plastic Surgery - Istanbul - May 2002 - Faculty Member. Third World Congress of Cosmetic Surgery - Sydney, October 2002 - Faculty Member. Faculty Member - IV World Congress of Cosmetic Surgery, Gold Coast QLD October 2003. Guest Speaker for the Indian Society of Plastic Surgeons, Coimbiture, India, 3-7 November 2003. Guest Speaker – Indian Society of Plastic Surgery November 2004 – Jaipur. Lectures on the Olecranon Bone Graft, Symmastia and Tuberous Breasts. ISAPS Course – Jaipur – 2004 – Lectures on Chest Wall Reconstruction, Breast Augmentation and Body Dysmorphic Disorder (BDD). American Society of Aesthetic Plastic Surgery – Lecture on Upper Arm Implants – Contour Restoration of the Upper Limb – May 2005, New Orleans. ISAPS Course – Stockholm Faculty Member – Lecture on Body Dysmorphic Disorder. ISAPS Course, Montenegro – Papers on Chest Wall Deformity and Breast Augmentation and the Periariolar approach for Tuberous Breast and Synmastia. Guest Speaker for the Australasian Academy of Facial Plastic Surgery – October 30-31, 2005 – Secondary Rhinoplasty – Surgical Correction of the Over-Operated on “Nose Job”. Hodgkinson, D.J., International Society of Aesthetic Plastic Surgeons, Brazil 2006, Faculty Member, "Demonstration Surgery Breast Augmentation", "Body Dysmorphophobia". Australian College of Cosmetic Surgery, Melbourne 2007: Lectures on Facelift, Breast Augmentation and Rhinoplasty. International Society of Aesthetic Plastic Surgeons, Korea 2007: Faculty Member, " Breast Augmentation and Chest Wall Deformity", "Autogenous Reconstruction in Oriental Rhinoplasty". International Society of Aesthetic Plastic Surgeons, Melbourne 2008: Faculty Member, "Faculty Member Panel on Rhinoplasty". 12th International Rhinoplasty Workshop, Seoul, Korea November 2008. Faculty Member "Super Open Rhinoplasty" and "Total Autogenous Oriental Rhinoplasty"
International Soceity of Aesthetic Plastic Surgeons and the Chinese Society of Plastic Surgeons, Beijing October 2009: Faculty Member "Oriental Rhinoplasty with the Olecranon Bone Graft" and "Fogli Face Lift as a part of Pan Facial Rejuvenation"
13th International Rhinoplasty Workshop and Second Congress of the Asian Society of Asian Cosmetic Surgery Zhengzhou China, November 2009: Faculty Member. "Fogli Face and Neck Lift with Pan Facial Rejuvenation" and "Breast Augmentation with Chest Wall Deformity"
Australian Academy of Facial Plastic Surgeons, Sydney, March 2010: "The Eurasian Nose"
Congress of Australasian College of Cosmetic Surgeons, Adelaide, April 2010: Lecture "Physiognomy as a Tool in Identifying the Unsuitable Candidates for Cosmetic Surgery"
Second Combined Meeting of the International Society of Aesthetic Plastic Surgery & Chinese Society of Plastic Surgery, Xian, China, September 2010: Faculty Member. "Breast Lifting when a Breast Implant is Required" and "Bone Grafting in Rhinoplasty (especially in Asian and Eurasianpatients"
13th Meeting of the Oriental Society of Aesthetic Plastic Surgery, Tokyo, Japan, November 2010: Invited Speaker/Faculty Member. "Restoration and Enhancement of The Torso and Limbswith Solid Silicone Implants", "Asian Rhinoplasty, The Eurasian Nose" and "Platysma Surgery & Face and Necklift"
16th Asia Pacific Plastic Surgical Meeting, Boracay, Philippines, March 11-15 2012. Faculty member papers delivered on Asian rhinoplasty, face lifts, psychological aspects of plastic surgery, body implants, chest wall reconstruction and Operation Restore Hope. Biennial meeting - International Society of Aesthetic Plastic Surgeons, Geneva, September 2012 Faculty Member. Paper delivered on Facelift. Biennial meeting - International Society of Aesthetic Plastic Surgeons, Geneva, September 2012 Faculty Member. Paper delivered on Facelift. 17th International Society of Aesthetic Plastic Surgeons Meeting, February 2013, Santiago, Chile. Papers delivered on Facelift, Moderator Session on Facial Aesthetic surgery. International Consortium of Plastic Surgeons meeting, May 2013, Singapore, Singapore. 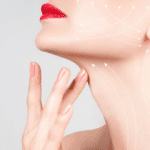 Papers delivered on Facelift, Rhinoplasty and Breast Augmentation with chest wall deformity. International ISAPS course with French Society of Plastic Surgeons, Cannes, September 2013: Presentations on Facelift and Body Implants and Breast Augmentation. Sun Peaks Canada; 30th Annual Meeting of the Northern American Alpine Workshop, February 2015: papers presented on Facelift BDD and Chest Wall Implants. ICAPS Meeting in Seville Spain, April 2015. Papers presented on Facelift and BDD. International Eurasian Aesthetic Plastic Surgery Course, Istanbul, June 2015: Presentations on Facelifting and Treatment of the Neck. ICAPS Down Under Meeting in Sydney, Auckland and Queenstown, February 2016: Scientific Chair and Presentations on Rhinoplasty and Facelifting. 52nd Congress of Swiss Plastic Surgery in Lausanne, Switzerland, September 2016: Invited Guest Lecturer and Faculty Member: papers presented on Facelifting and Necklifting and Winning the Sydney Hobart Yacht Race. ISAPS Kyoto, Japan October 2016: Scientific Committee, Faculty Member and Presentation on Facelifting and Necklifting. The FACE, Queenstown, New Zealand, March 2017: Pioneer Plastic Surgeons from World War I.
OSAPS - Oriental Society of Aesthetic Plastic Surgery, Bali, Indonesia July 2018, Faculty Member and Presentations on Breast Augmentation for Patients with Chest Wall Deformities & Managing Nasal Implants in Rhinoplasty.